The key elements of jazz music are syncopation, individual style, and improvisation. The original jazz dancing carried these same elements. Syncopation is what gives jazz music and dancing its edge and excitement. It is not monotonous and dry. Changes happen often and are unexpected. Sudden. The dancing represents body movements that go with the beat and rhythm of hip hop music. 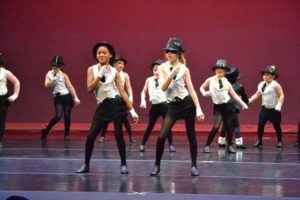 There is breaking, popping, locking, and free styling in hip hop dances. The jumps, breakages, and rotations in the movements are combined in such a way that the dance style becomes an informal and explosive one.